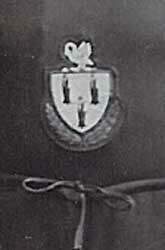 It would be nice to be able to identify the club badge on the runners vest, any possibilty of enlarging that area of the photo? No lettering Miv. I think Chapesse is on to some thing with A.E.Dobson as a candidate. Well at least we now know it's the Kings Lynn Borough arms. According to Kellys Directory 1912 that is the only club mentioned with athletics in its title. Another old postcard. Not sent, so no postmark to give a date, although printed info says "Inland: halfpenny stamp. Foreign: one penny". Possibly The Walks if a Lynn team. Mivalanchi wrote: Another football pic puzzle. Any ideas regarding the date? or venue? 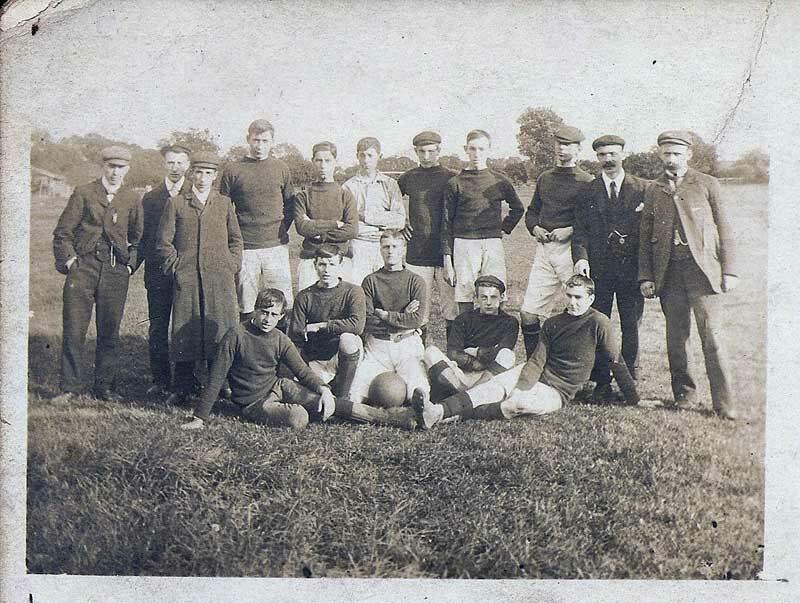 Ollie Davidson is on the far left back row. The back of the card. 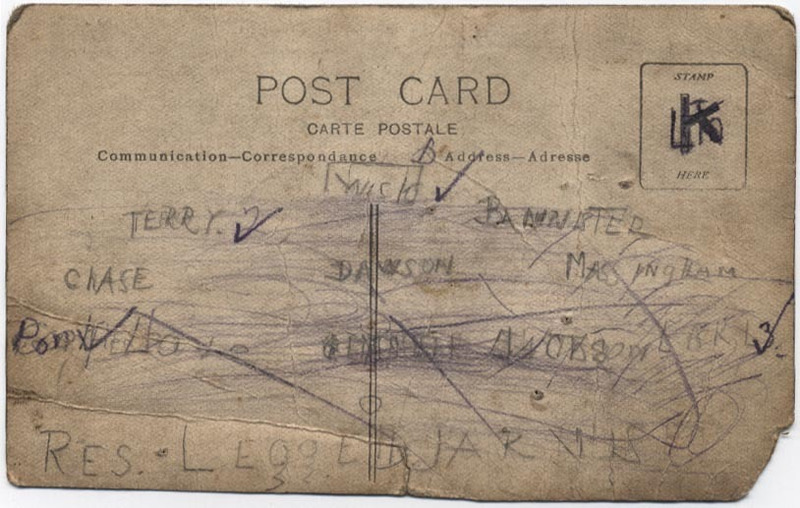 I recognise the name of Massingham, not certain about any of the others? are the gates that open unto Tennyson Av. Lynn vs. Manchester write up from April 1907 so most of the players in the very first photo on this thread played in this game. Lynn vs. Yarmouth Fearnoughts, October 1896 write up in 3 parts. 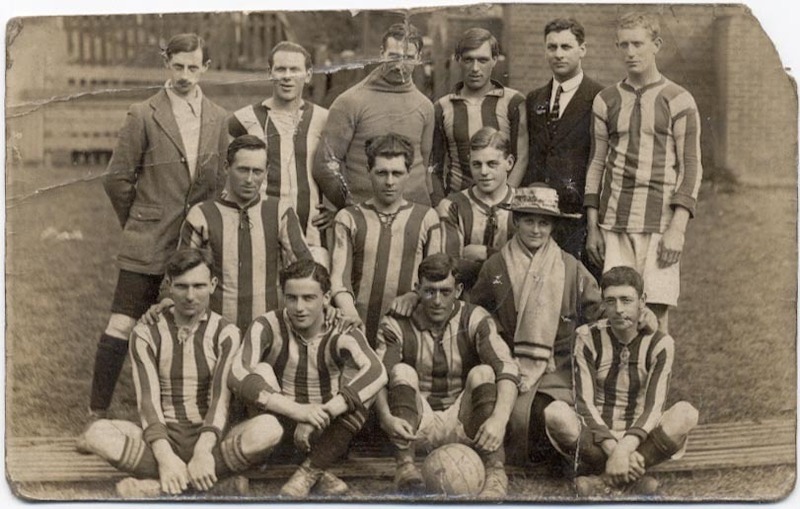 My Great Uncle, Ernie Gay, was goalkeeper for several years for the club. His wife was Elsie (nee Stannard) Gay, was a cleaner for a law firm for many years, retiring in her 80's.